Your First Nation supports and enhances business in the community, and is always looking for ways to improve communication with the business sector. The Economic Development Officer works directly with clients, site selectors and consults to help facilitate business development and the site selection process. The Economic Development Officer program provides skills and competencies to help the community businesses grow and prosper in your economic development position and career. Let us be your first point of contact for business development and career advancement. Demonstrate the steps and processes in conducting sustainable development planning. Identify the central issues that constitute the area of community economic development. Discuss the effects and opportunities of economic restructuring and technological change in communities. Practice and develop skills and competencies associated with effective leadership and management. Understand the generally accepted principles of accounting for a business enterprise or venture. Develop reasoned and practical methods of analyzing, evaluating, and utilizing accounting information. Understand the importance of accounting to strategic economic and business decisions. The economic development officer must be familiar with background materials and information relating to the First Nation Community and the political processes. Must demonstrate a non-political approach to communicate and foster relationships with politicians, elders and community members. The economic development officer must use a variety of qualitative and quantitative methods to perform continuous assessment of economic development needs, including maintaining an inventory of existing businesses, sector activities and current human resources (Labor force) in the community. This course clarifies the importance of Community Economic Development as a strategy for the development of economically marginalized and depressed communities. The course introduces students to the theory and practice of Community Economic Development, and provides them with an insight as to combining both theory and practice to help build capacity and sustainability within a community. It promotes a future role and job for the Community Economic Development Officer, and highlights how the successful completion of the course could help increase the development of healthy Aboriginal communities. This course is an in-depth study of the concepts, principles and practice for external business financial reporting. Consideration of issues related to the measurement and reporting of cash, receivable, inventories, property, plant and equipment, intangibles, investments, revenue and expense recognition and cash flows are discussed. In addition, current financial statement presentation issues (balance sheet, income statement and cash flow statement) are analyzed to gain an appreciation for the impact of generally accepted accounting principles on the business environment as a whole. Recognition and measurement of liabilities (short and long-term), the structure of stockholders’ equity, taxes, leases, pensions, and accounting changes and error analysis are also covered in the course. Current generally accepted standards for business reporting are also analyzed, as is their effect on the presentation of financial results by corporations and other entities. This course examines Community Economic Development (CED) within a global setting. Additional CED strategies and the development of global theories on CED are explored. This course will promote roles and jobs for CEDOs (Community Economic Development officers) in their communities and globally. This course examines how communities work. Five community functions – political, social, cultural, economic, and physical – will be identified and will be looked at from research, investigative, assessment, and analytical perspectives. The course highlights how data on the five functions may be collected, and how the analysis of the data can help Community Economic Development officers clarify challenges and opportunities and use the information to direct and inform action planning. This course focuses on how to successfully negotiate in a variety of organizational situations. In addition, participants learn the basic features of entering into, and successfully managing, a contract. Both negotiations and contract management are examined in this course through experiential models and practices, focusing particularly on applications with a First Nations setting. The learning process is based on a combination of lecture inputs to introduce core concepts, individual and class exercises organizational skills, and allows students to monitor their own progress in the course. This course examines economic, environment and social factors that impact or enhance Community Economic Development (CED) project design. Both successful and unsuccessful CED projects are examined to highlight CED strategies, principles and concepts that have positive impact on sustainable development planning in Aboriginal and small communities. This course will provide the student with knowledge of contemporary First Nations Law and Economic Development. The student will learn about constitutional law, case law, and public policy. This course will discuss the concepts of self-government and also of community development. Analysis will include studying the Indian Act and also studying contemporary economic initiatives. In addition, this course will discuss the communities’ control over services, creation of corporations, and economic development. Systemic issues such as historical background, history of treaties, and Canada-First Nation relations will be studied. This course will provide a historical understanding of contemporary events as well as current legal and political developments.. This course introduces students to the field of “entrepreneurship”. Students examine the concepts, activities and new ways to meet the needs and demands of entrepreneurs. The course examines these themes: (1), the characteristics of the entrepreneur, (2), family businesses, (3), home-based businesses, (4), new product design, (5), business plan, (6) franchising and other alternatives. 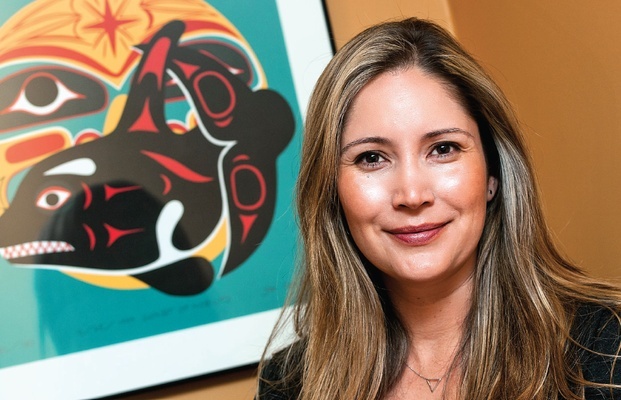 There will be a focus on opportunities for entrepreneurial development in Aboriginal communities facing challenges such as: downsizing, restructuring, information and communication technologies and globalization. This coure will provide the student with knowledge of contemporary First Nation issues. Students will examine First Nation peoples, employment, health and cultures. Other issues are: historical background, history of treaties, and Canada-First Nation relations, First Nation land claims, Indian and Northern Affairs Canada, government policy, and Canadian law. Contemporary issues such as treaty negotiations, Bill C-31, and self-government initiatives will be analyzed. This course examines some of the significant community economic development initiatives in Aboriginal communities. At the heart of the course lies a simple point: “Aboriginal people are taking greater responsibility for determining and managing their economies” but do they have the tools to help them along? This course provides lessons from case studies in Aboriginal and non-Aboriginal communities. As a survey course, it integrates CED theory and practice. It empowers local communities through CED that balances economic, social, and ecological objectives.. This course is an in-depth study of practical and theoretical applications of “community organizing” case study from the U.S. The course introduces students to the concepts, principles and practice of community organizing. The course explores the current movement of community development which include: some of the sophisticated networks of foundations, corporations, intermediaries, technical assistance providers, with local, state, and federal agencies in the design and implementation of community economic development and organizing strategies. This course provides the student with an introduction to management. It is designed to introduce students to the world of organizations. Although this course will not necessarily make the student a “manager,” it will provide them with a better understanding of the workings of organizations and those who manage them. The ideas and concepts associated with management will be practiced in class through experiential learning in a team context. The material will not only clarify the things managers do but also focus on developing a conceptual awareness of the issues facing managers and organizations in the ever-changing and increasingly competitive world economy. This course is designed for students who require a course in statistical concepts, principles and methods in preparation for working with statistical studies and analyzing data in their chosen field of study. The focus of this course will be on the logic and interpretation of statistical concepts and techniques in business settings. Much work will be required. This course introduces the student to basic statistical methods for analyzing both a quantitative and qualitative information, including graphic methods, sampling, descriptive statistics and inferential statistics. The relationship of statistics to research methods is discussed, applications to business decisions is stressed. This course provides an introduction to personnel management including organization of the personnel functions; recruitment and selection, interviewing and counseling, job descriptions and evaluation, compensation and salary administration, management development and performance appraisal, training and staffing planning, safety and occupational health. The course places particular emphasis on the practical applications of personnel policies and procedures, on personnel’s relationship to management and management’s responsibilities to employees. An introduction to interpersonal communications, interpersonal relationships, and development of interpersonal communication skills required in the role of community economic development officer.